They have all extended their terms in office, either through constitutional amendments, referendums, or judicial decisions. 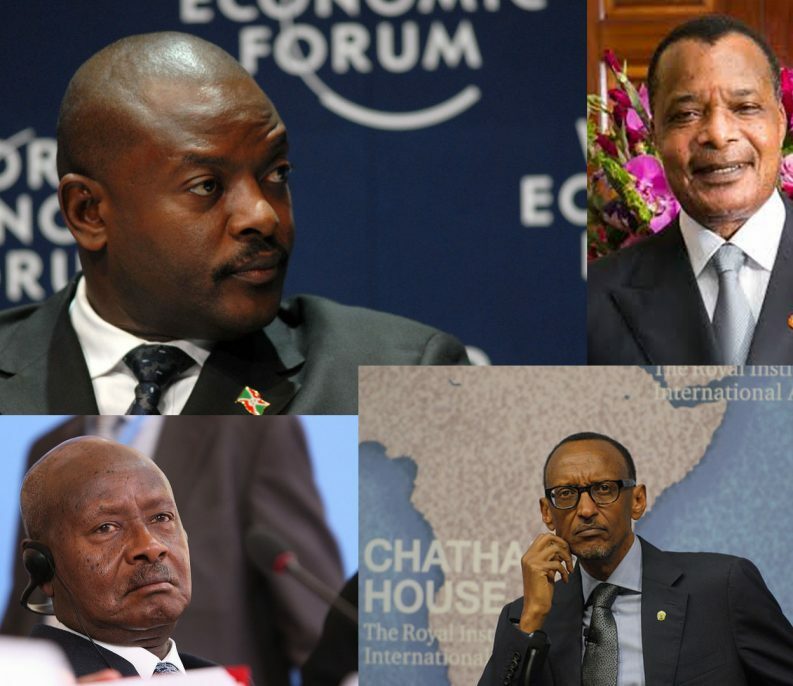 Clockwise from top: Pierre Nkurunziza (Burundi), Denis Sassou-Nguesso (Rep. of Congo), Paul Kagame (Rwanda), Yoweri Museveni (Uganda). Africans Love Term Limits, But Will Readily Vote For A ‘Third Termer’. What’s Going On? Support for term limits is the majority view in the 29 countries surveyed, including those that have never had term limits, and (surprisingly) even in those that have removed them from their constitutions.